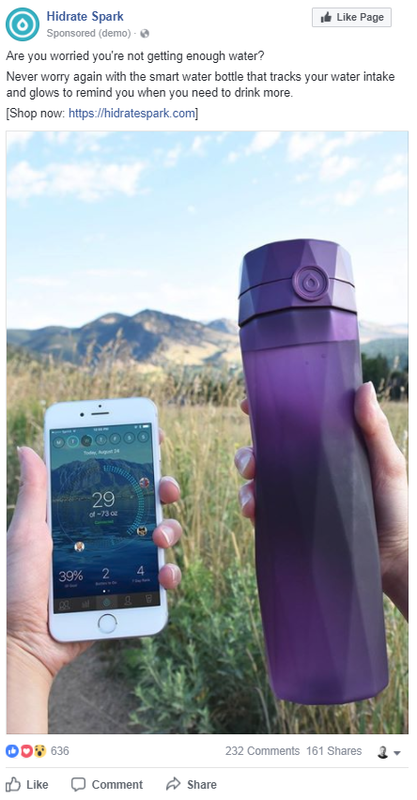 Hidrate Spark is a Smart Water Bottle that helps you stay healthy and hydrated by tracking how much water you drink. 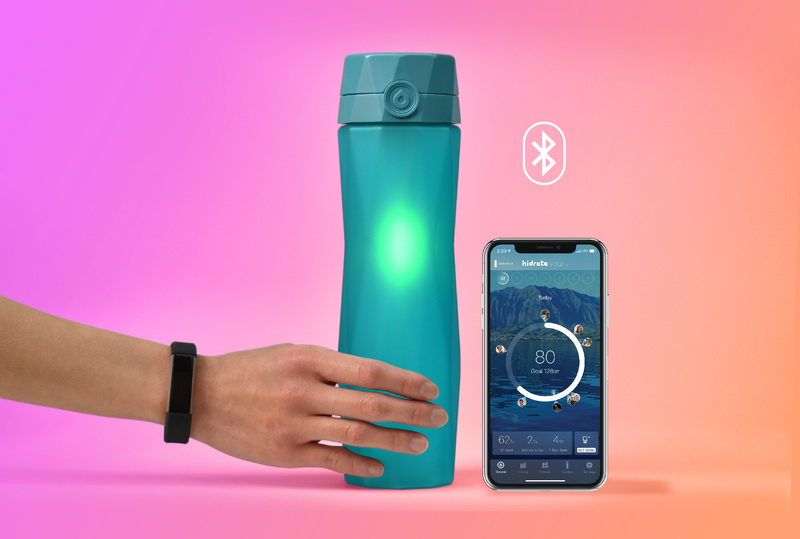 Hidrate, Inc. is an award winning creator of Hidrate Spark 2.0, a connected water bottle that tracks, monitors and alerts you about your water intake. In early 2017 Hidrate team was seeking to replace their old agency with a more data driven and experienced agency to take them to the next level. Hidrate reached out to us on Shopify Plus community for our paid social solutions with a goal or reaching new audiences and increasing the revenue. We immediately began by analyzing and auditing current and past ad campaigns, web analytics, site performance and conversion tracking. Our team uncovered several areas of optimization and opportunities, including improved ad campaigns, analytics implementation, persona development and conversion rate optimization. Many consumers are keen on leading active and healthy lifestyles and achieving their fitness goals. But it’s never an easy path. They always look for programs and products that will help them lead a healthy life. Google Search was a natural fit for finding and attracting this consumer segment. Since relaunching and continuously optimizing campaigns, keywords and ad groups we’ve been able to reduce the cost of customer acquisition by 53% while increasing conversion rate by 69%. Additionally, by reaching the right users with optimized and relevant ads we’ve increased click-throughs 8x. Facebook ads were used to build brand awareness, demand generation and retargeting. The platform also provided opportunities to uncover high engaging customer segments and ad copy testing. We deployed and tested various ad types available on Facebook including video, carousel, and image. With active campaign monitoring, we were able to quickly determine best performing ads and focus on improving winners to achieve their optimal performance. 79% of Americans drink less than 7 glasses of water a day. Even mild dehydration can affect your mood, energy, and focus. We used a number of tools and methods to optimize landing pages and purchase funnel for conversions. 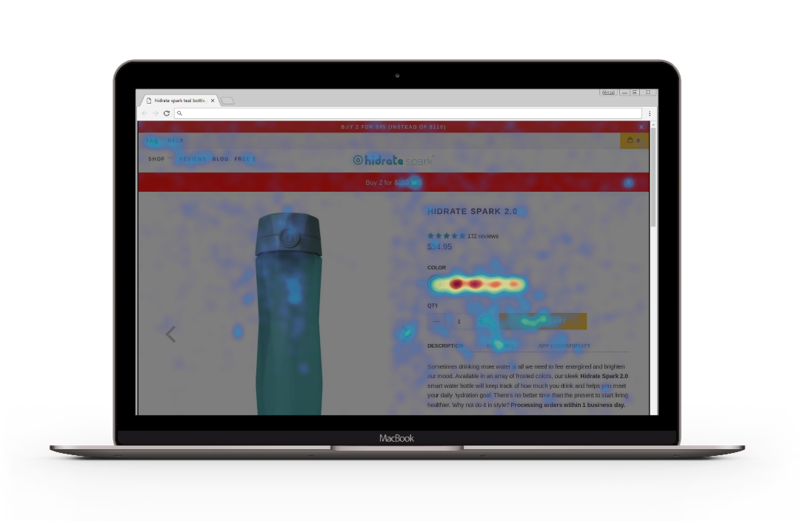 From heatmaps to funnel analysis, we provided recommendations which were implemented that helped improve conversion rates and user experience based on industry best practices our own first-party data. Additionally, we analyzed user and customer data to develop unique personas to target and build landing pages around. This approach allowed us to to create a seamless experience for designated customer segments, from an introduction to the brand all the way down to the purchase.